Trinket Cup English Yew. Hand turned.2H 2D. 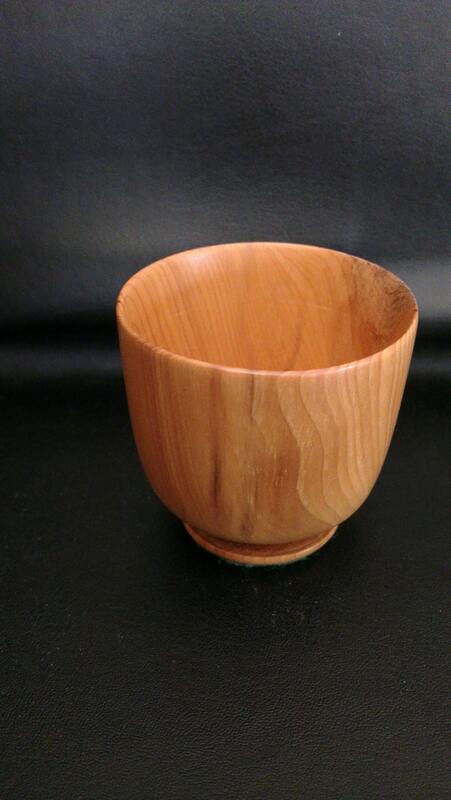 Trinket Cup English Yew. Hand turned.2"H 2"D.
All items purchased will be sent out within 3 working days wherever possible. Orders of more than one item will be combined and sent packaged together. Please be aware that post may be delayed at busy periods such as around the Christmas Holiday period. Unfortunately I do not provide refunds or exchanges unless an item has been damaged during shipment. If items do arrive in a damaged state please let me know within 3 days and return to me within 30 days and I will address accordingly. All listings are an honest and true representation of items. Single items will be sold as seen on listing. All items are handmade and owing to the nature of the material, variability of shape and finish is to be expected on multiple orders. Wood is a living material, room temperature, and humidity may effect the shape and appearance over time. Unless otherwise stated wood species are not listed in the CITES Appendices or on the IUCN Red List of Threatened Species.